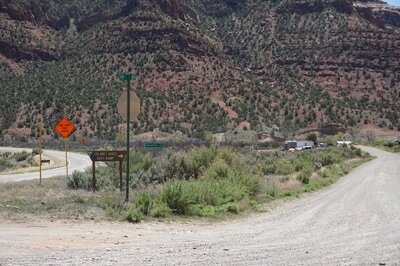 Directions: From the town of Bedrock, turn south on the gravel road next to the General Store at the BLM Boat Launch sign. 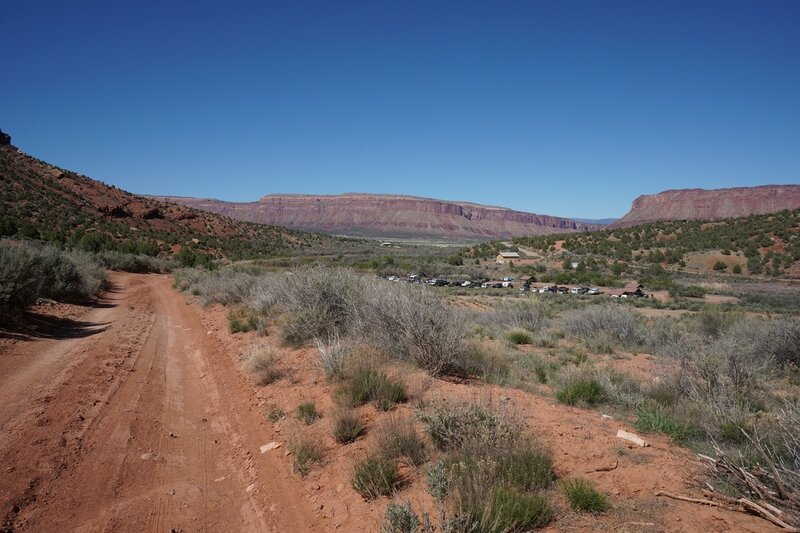 Follow the road for just a few minutes to the large parking area for the boat launch. If you have a 4WD high clearance vehicle you can drive up the road for a little ways to the Wilderness Study Area sign that blocks the road and marks the trailhead. If you don't have the 4WD, then just walk up the road to the trailhead. 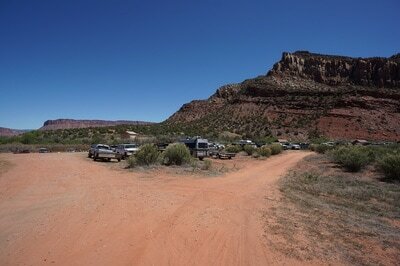 There are numerous roads leaving the parking lot but they all converge at the trailhead. 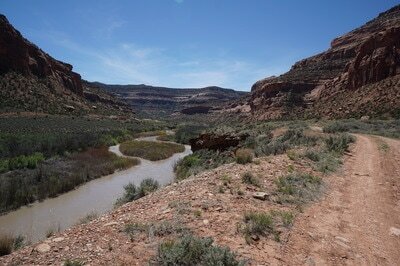 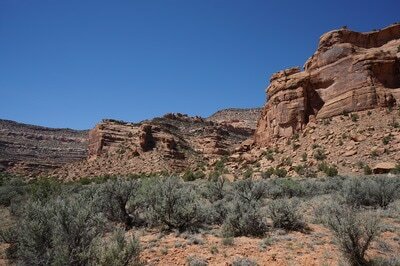 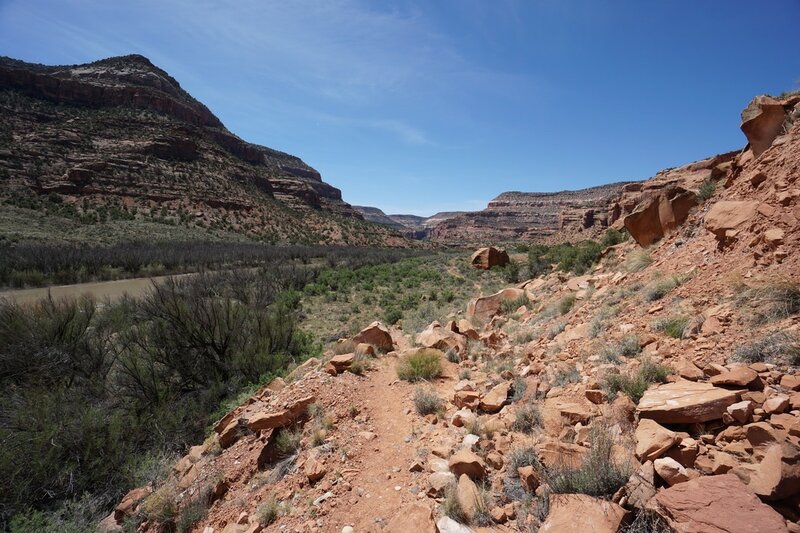 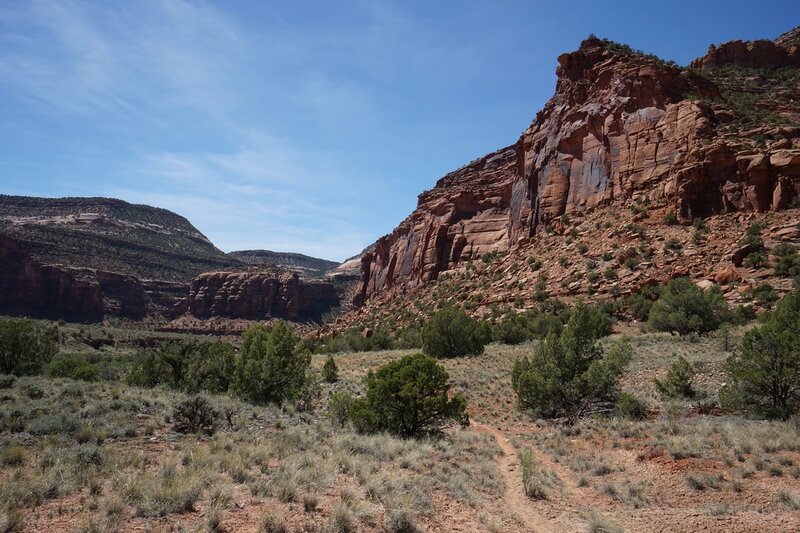 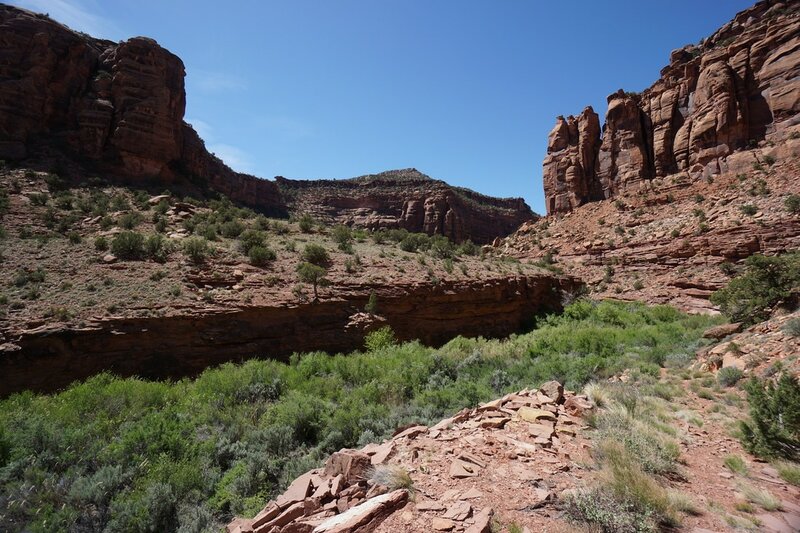 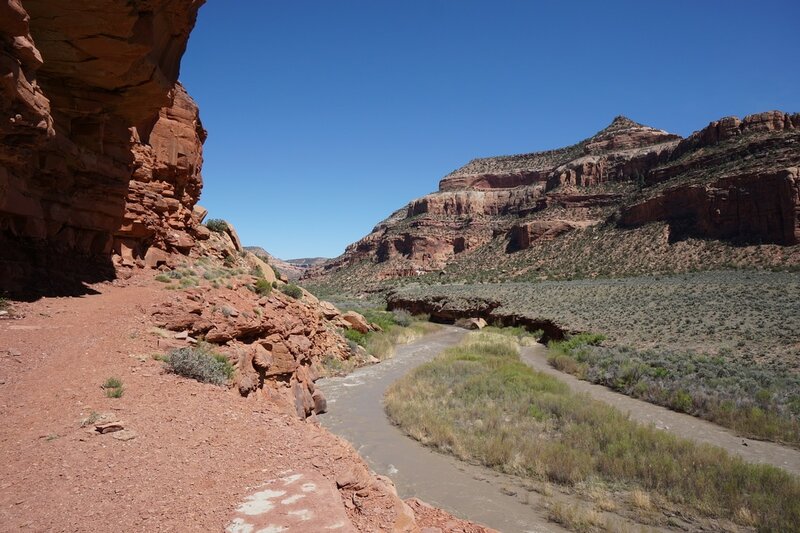 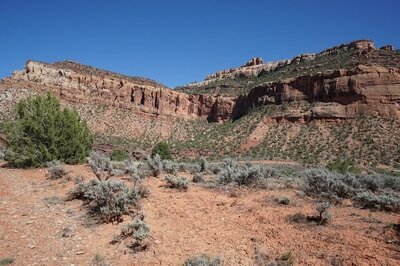 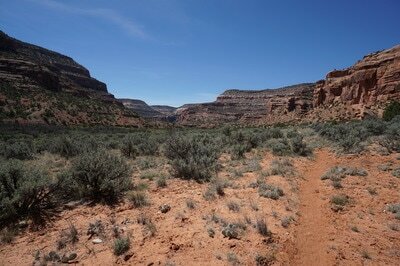 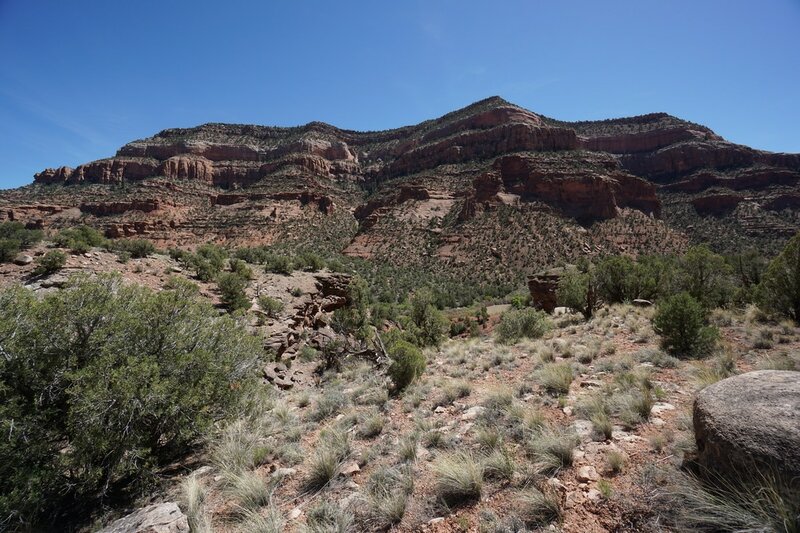 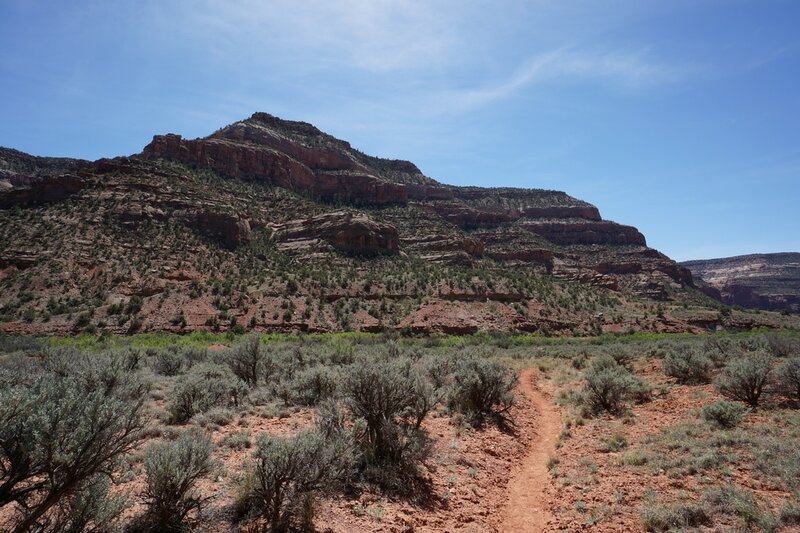 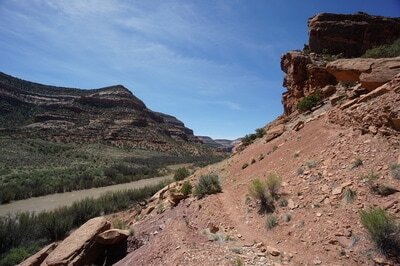 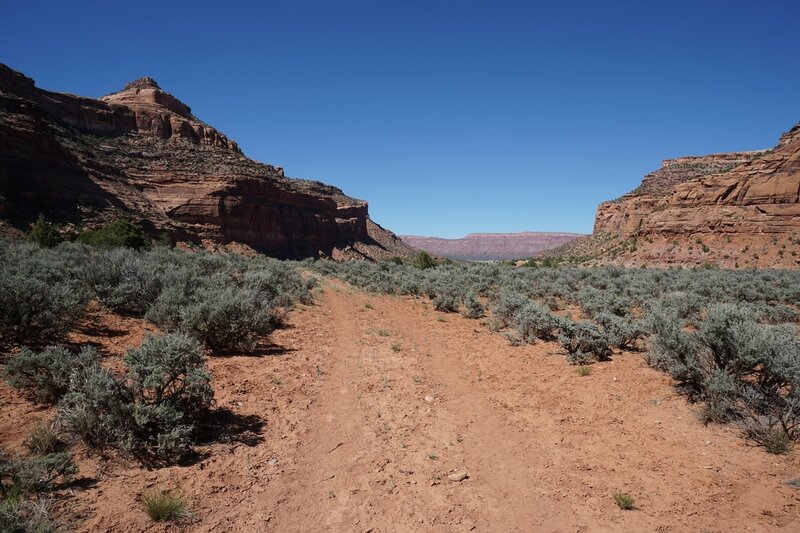 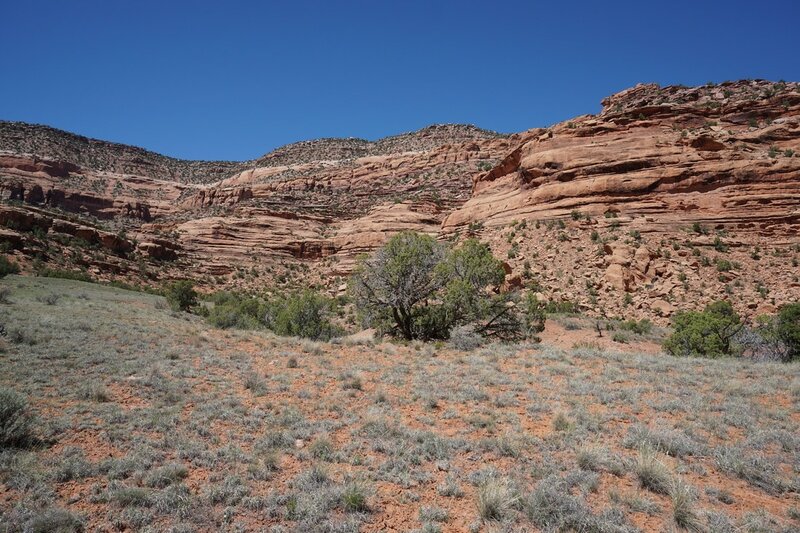 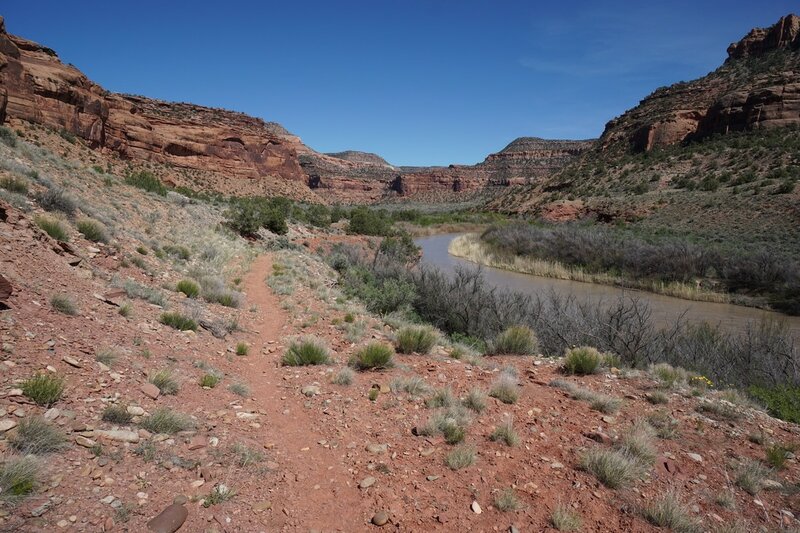 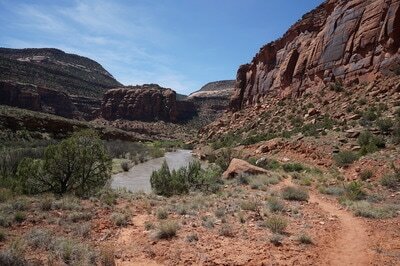 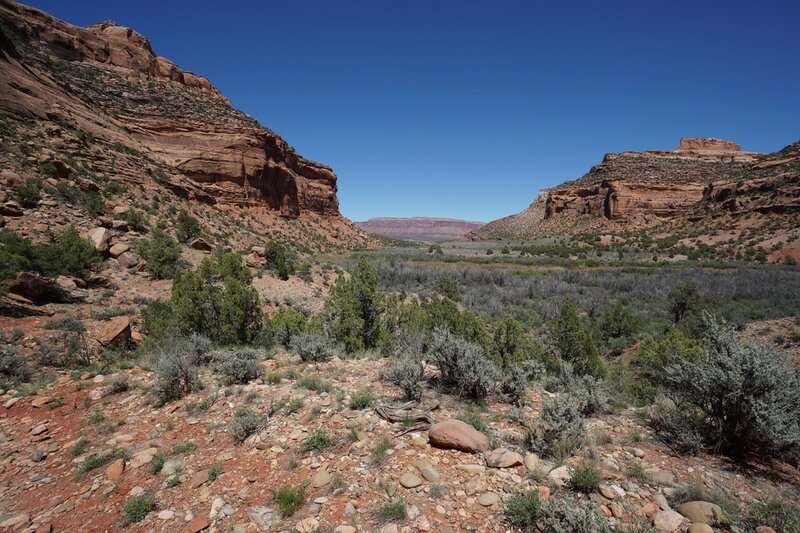 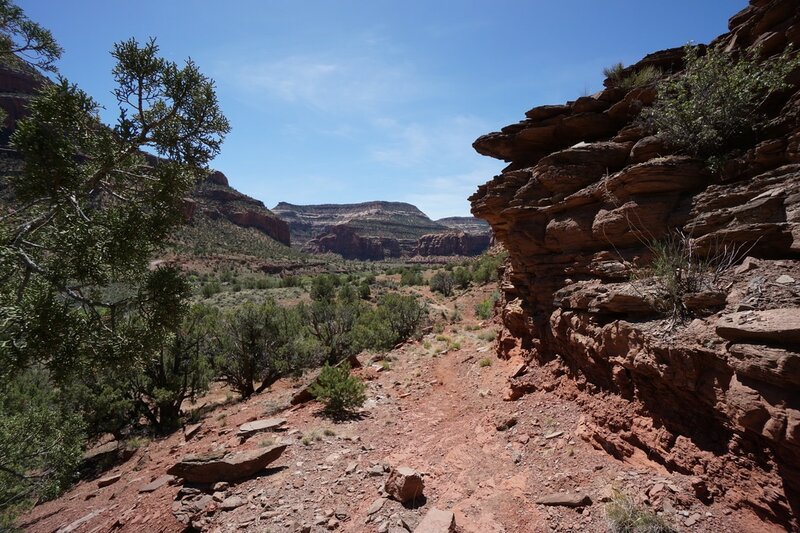 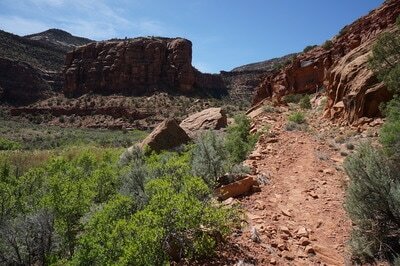 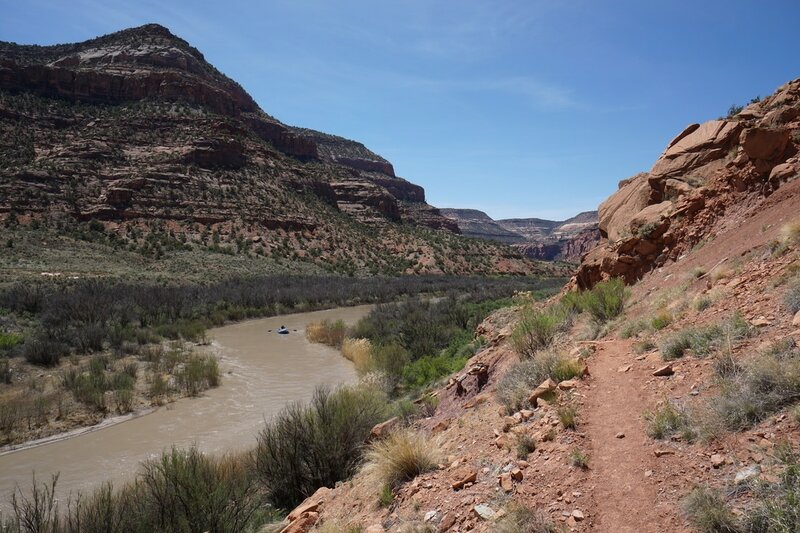 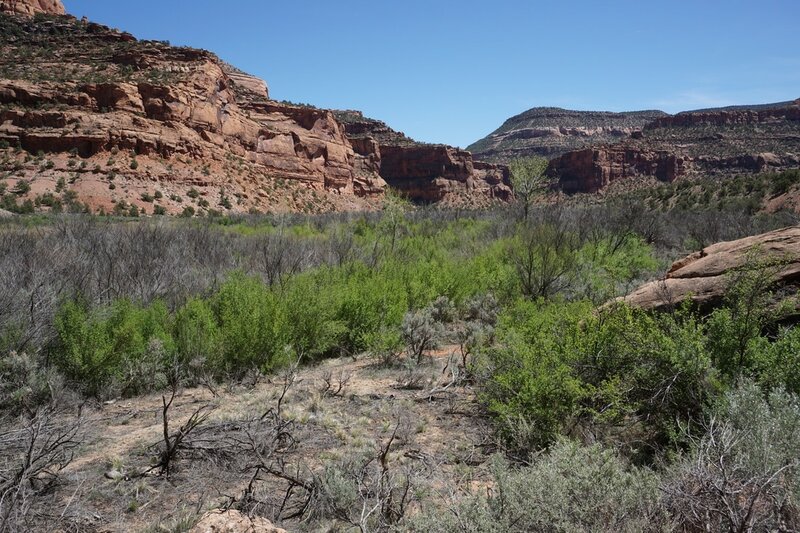 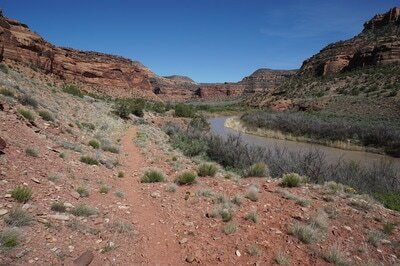 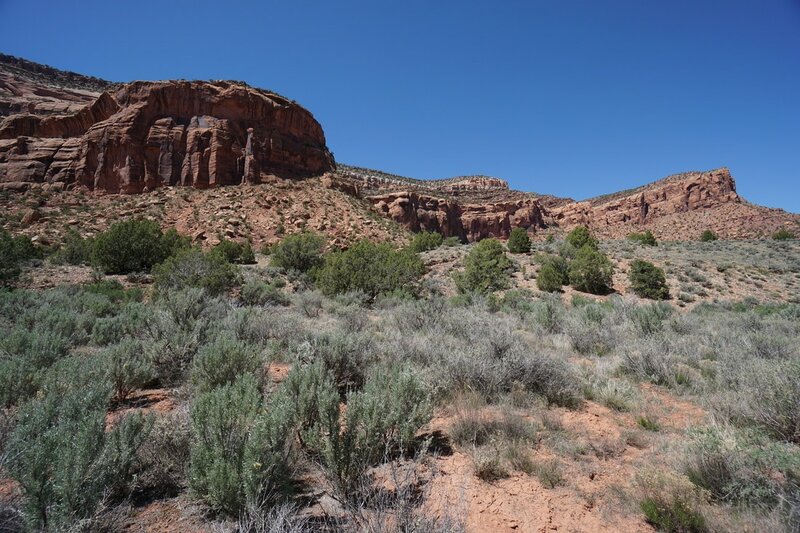 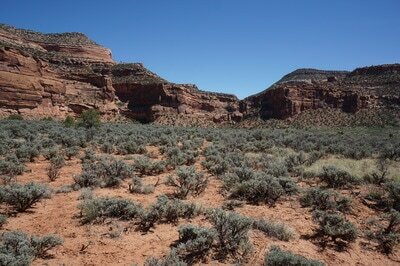 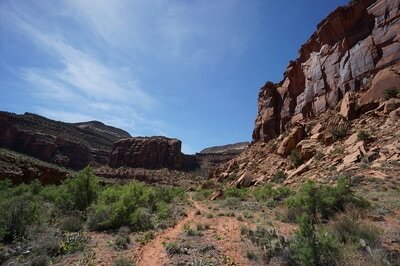 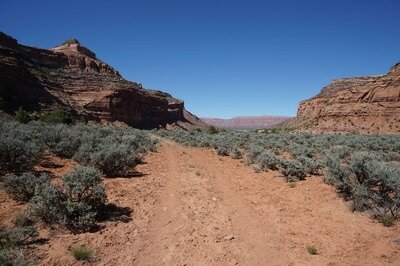 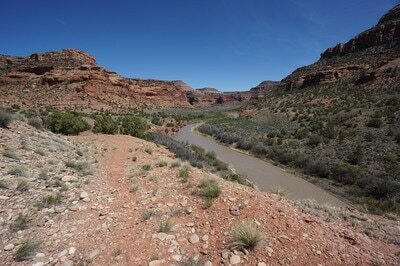 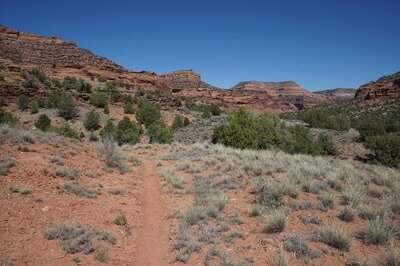 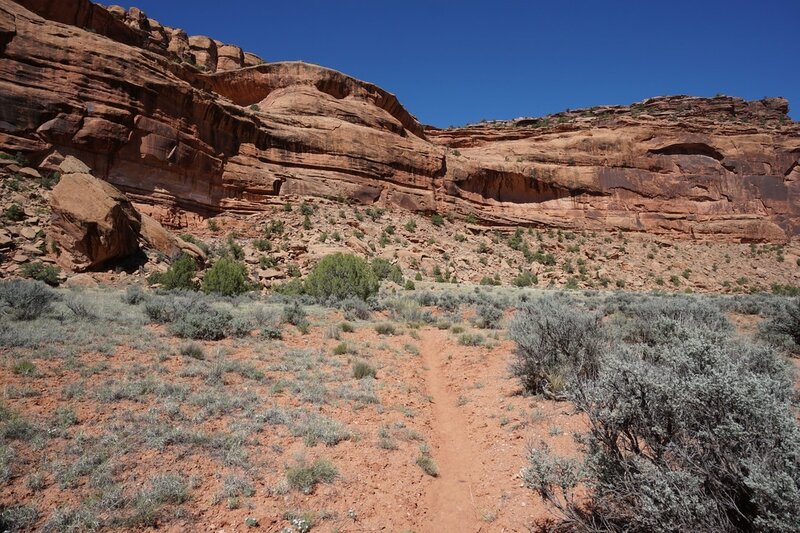 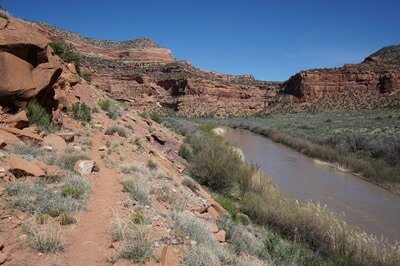 The Dolores River Canyon Trail is a superlative hiking resource. 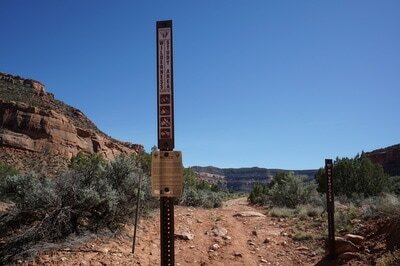 In this remote part of the state there are few established trails that are closed to motor vehicles. 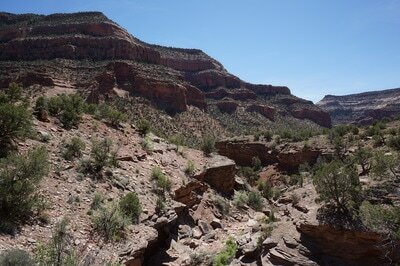 This hike explores a majestic canyon that, while popular with rafters, is not popular with hikers. Even with a full parking area, the canyon itself is likely to be quiet and peaceful. 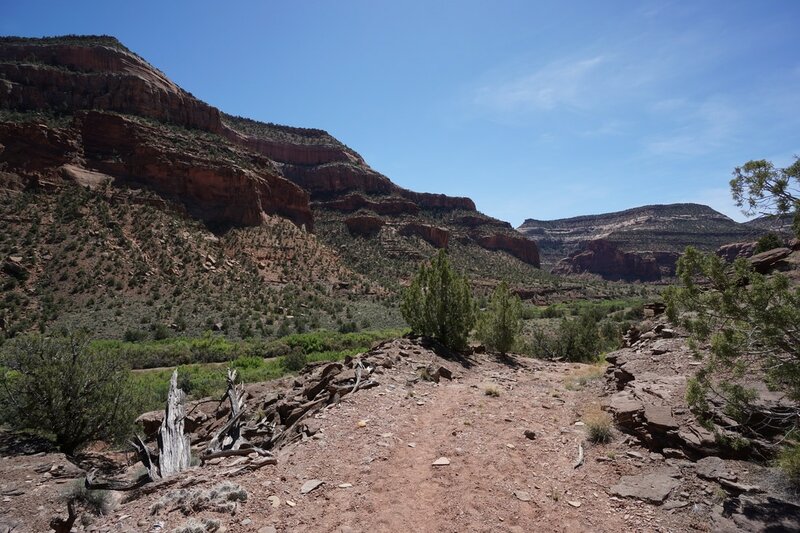 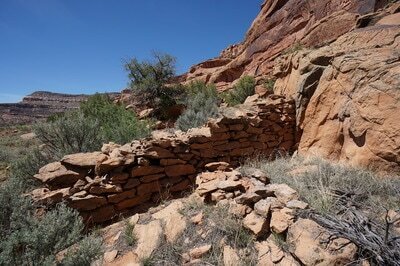 Once you find the trailhead, follow the old dirt road under towering cliffs is it meanders down to the river and back to the cliffs and so on... For the first 1.5 miles or so, the trail follows the wide river valley with wetlands and lush desert vegetation. 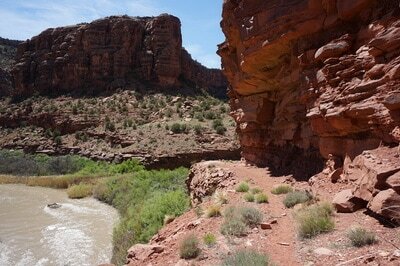 The trail then turns to the west and climb up onto a shelf above the river. 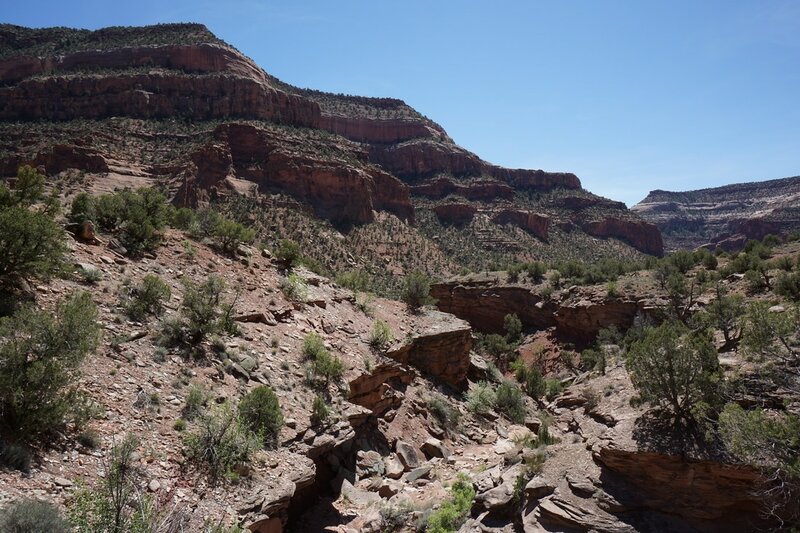 The canyon gets a little more rugged on this portion of the hike and the trail rolls up and down along dry tributaries and washes. 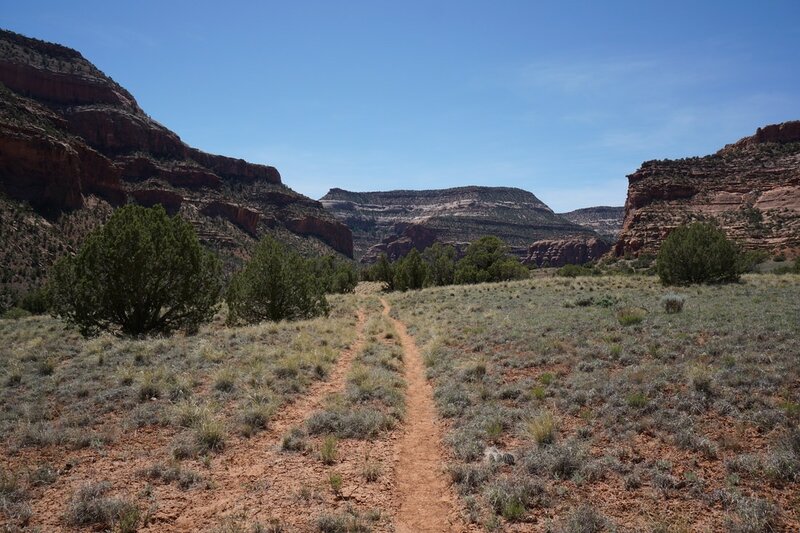 This part of the canyon is incredibly scenic and you may be overcome with the feelings of remoteness, just remember that you are only 2 miles from the trailhead at this point. 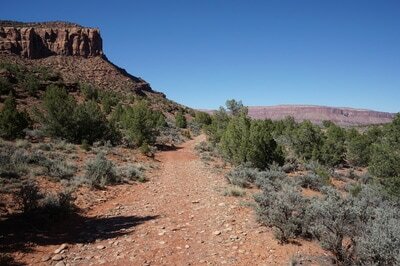 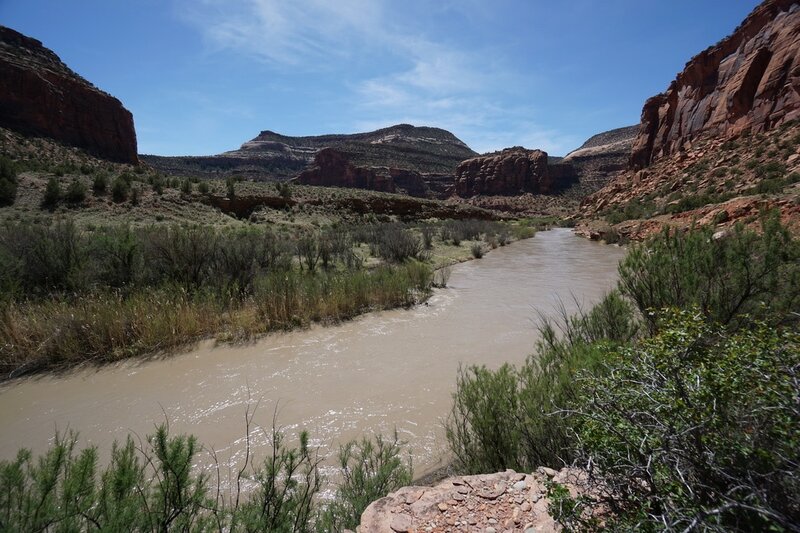 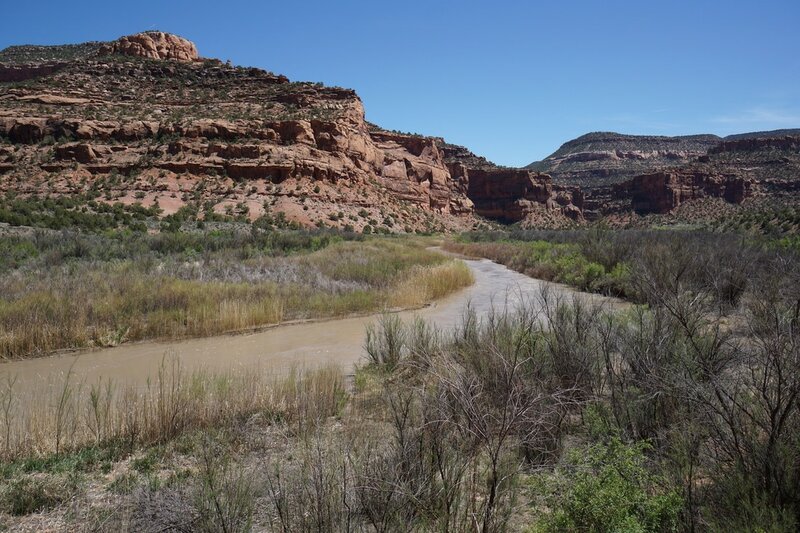 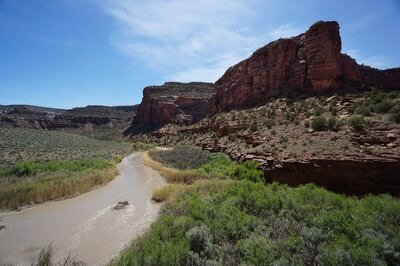 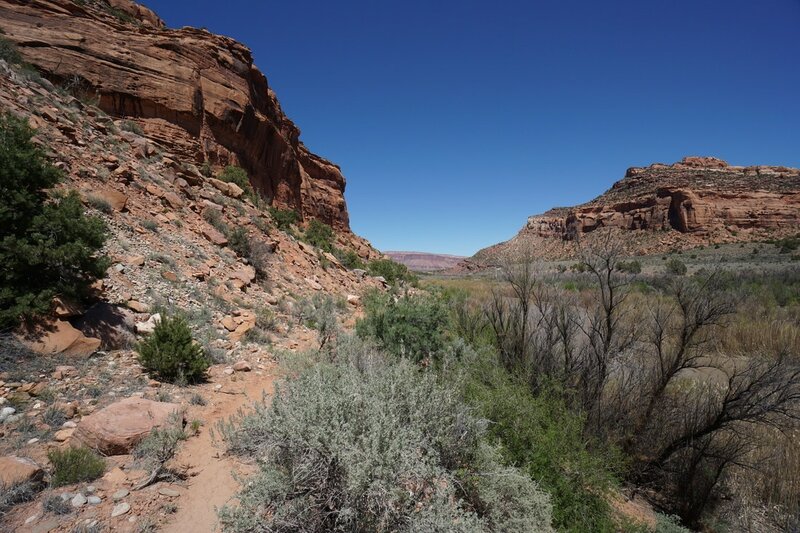 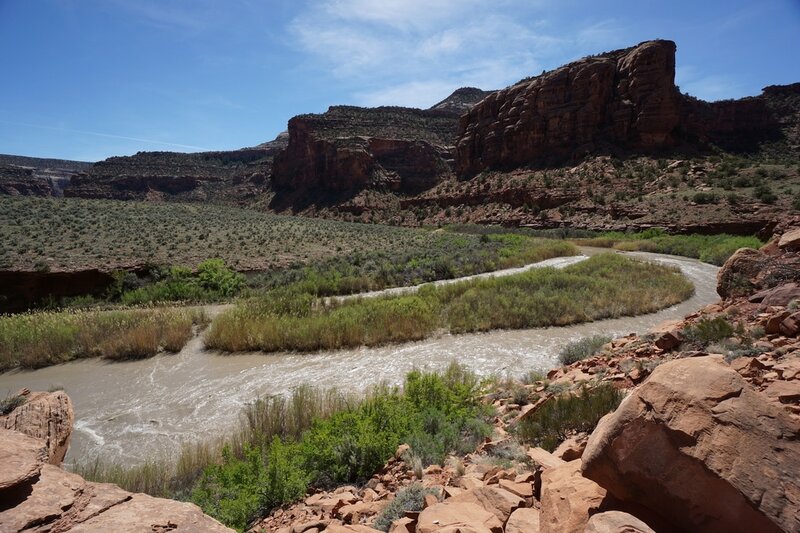 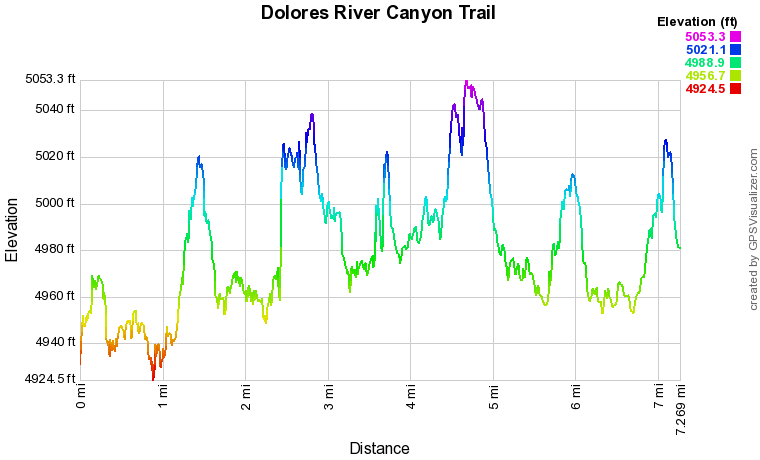 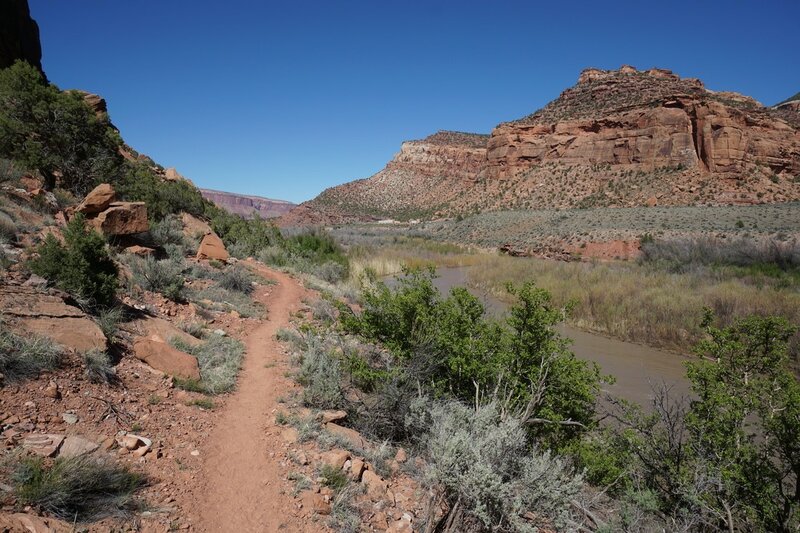 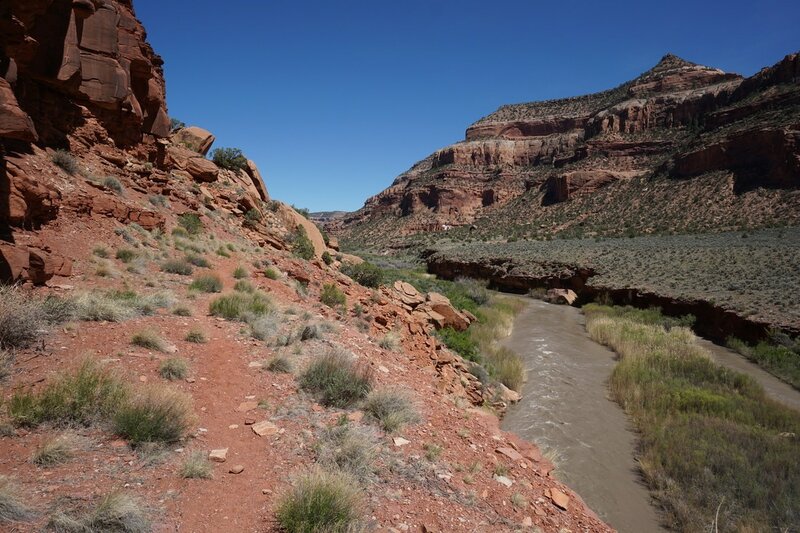 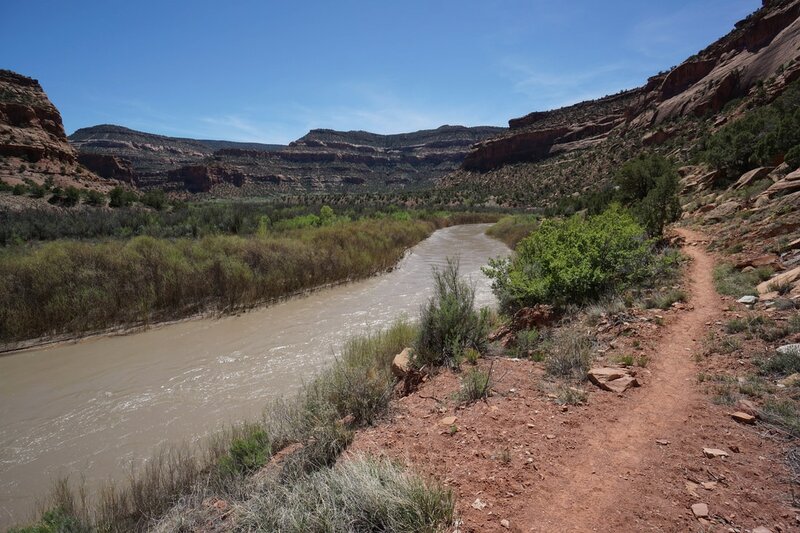 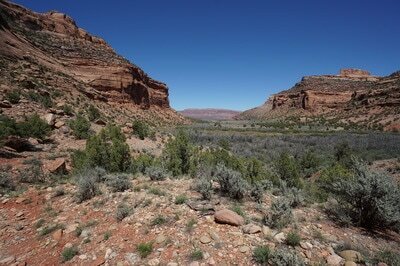 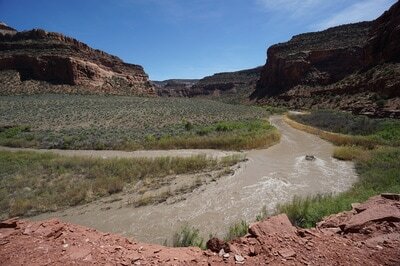 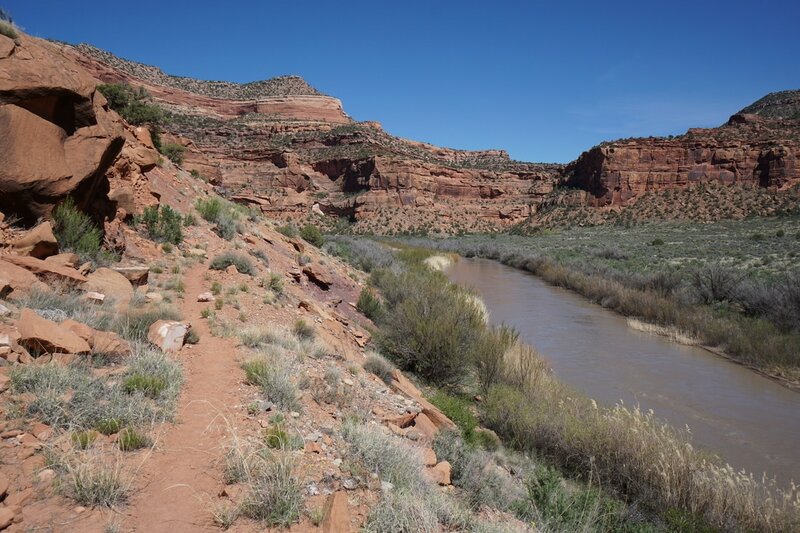 At 3.5 miles, the Dolores River intersects with La Sal Creek and the trail ends. 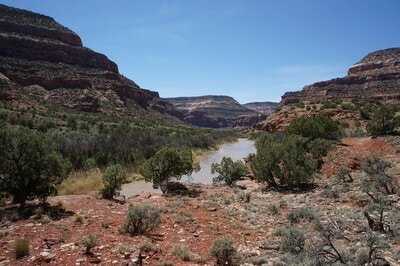 The beauty of the canyon at the confluence is hard to describe but it is a worthy destination. 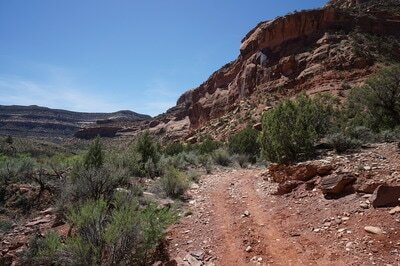 Apparently there are some petroglyphs near the trail's end but I could not find them (doesn't mean they are not there...). 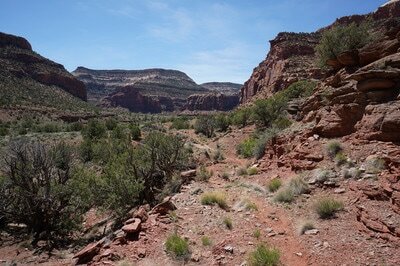 The way back covers the same ground but canyons always seem to look different when you hike in the other direction. This hike is truly special, remote yet well established, massive yet intimate... The area is designated as a Wilderness Study Area so it will likely be added to the National Wilderness System in the future. And...if you're lucky, you'll be able to snag a cold beer from some river rats when you return to the parking lot.